I love this salad and find it is perfect for a spring or summer meal. 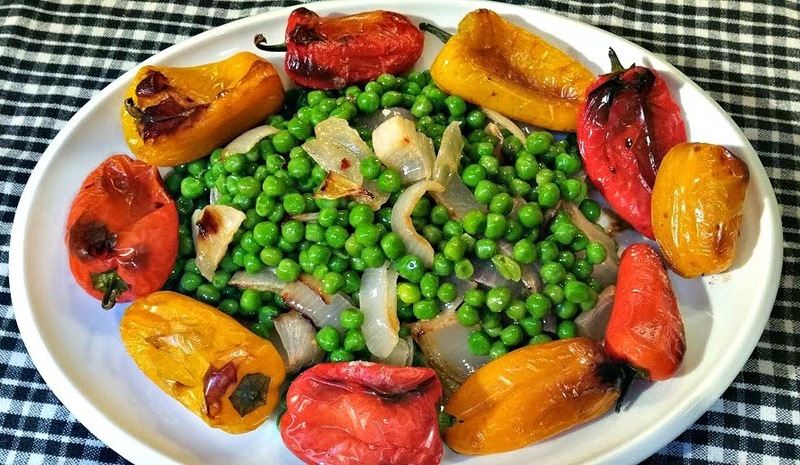 Easy, breezy to make, the prep consists of combining spring peas and green onions in a bowl and allowing to chill, then roasting sweet peppers and white onion until caramelized. Dress with a light, fresh vinaigrette and you have the most delicious salad you can imagine. Wash and chill peas and green onion in the refrigerator. (if using frozen peas, defrost by placing in a colander and pouring boiling water over them.) Chill. Preheat oven to 425 degrees. Line a large, rimmed baking sheet with parchment paper. Add peppers and white onion to the pan and drizzle with oil. Generously season with salt and pepper. Roast in the oven for 20-25 minutes or until the peppers and onion are beginning to brown and caramelize. Remove from oven and set aside. Allow to cool to warm. Stir in the roasted onions to the pea mixture. When ready to serve, mound pea mixture in the center of a large platter. 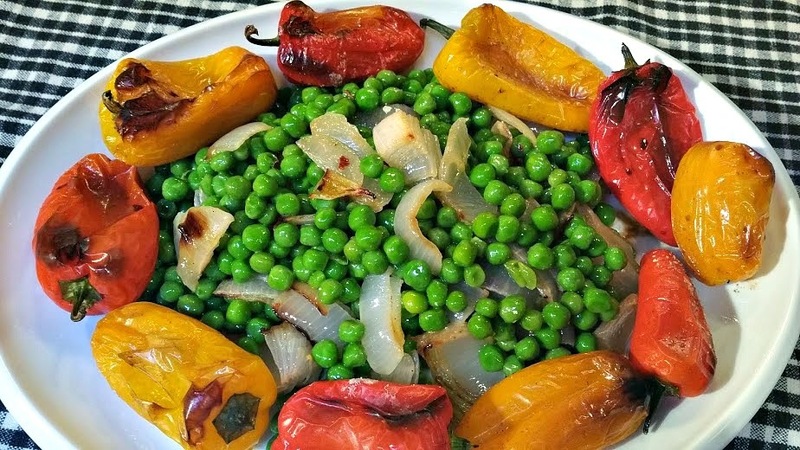 Surround the peas with the peppers. Serve, passing the remaining vinaigrette at the table. Springtime means the start of sensational side dishes made from fresh, just-picked produce and this week at Food Network we are celebrating Spring Peas. 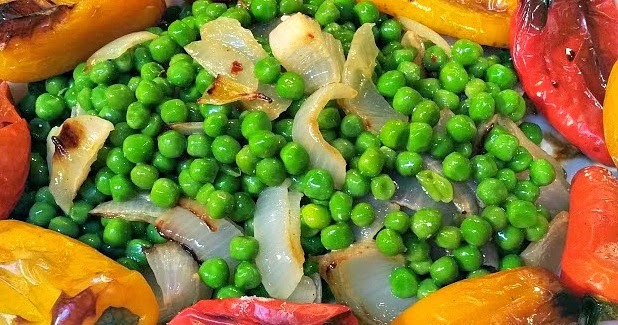 Do you have a favorite pea recipe? Share in the comments section and/or link to your blog if you have one. And be sure to check out the delicious sounding recipes from my blogger friends and Food Network.